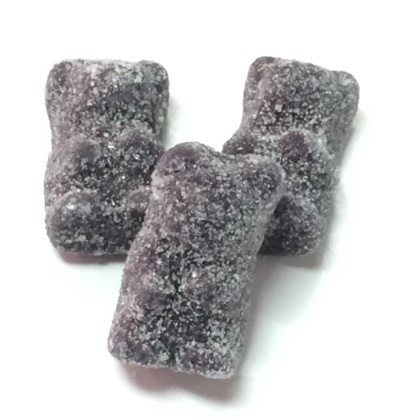 Sugar coated licorice gummi bears. Gluten-free. Approx. 1.25 inches tall and 3 pieces per ounce. 12 oz bag. Anise Bears are the best! I always keep them in the house - they are the best!